Hello guys, am sure most of you are still rocking the Mtn bis plan on your Android device with psiphon and simple server. Today am not actually introducing a new tweak but just another method to rock the Mtn BIS with netify VPN. Netify is actually a remodeled version of popularly known psiphon handler. Although both of them share similar features such as the handler menu, tunnel while device without rooting among others, but one reason why you might want to pick the netify VPN over psiphon handler is the better Internet stability. 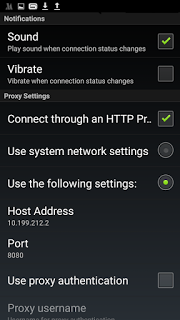 Unlike psiphon, the netify VPN does not disconnect often especially when using it with the Mtn BIS plan. With this new VPN you can be sure of a longer internet connection without much of the disconnecting issues you face with psiphon. Before you get started with the netify VPN setup, make sure you have an active subscription. You can check out the list of available subscriptions plan and how to Subscribe Below. ==> For the daily plan, text BBLITED to 21600 cost N70. ==> For the weekly plan, text BBLITEW to 21600 cost N350. >> For the monthly plan, text BBLITEM to 21600 cost N1,000. 1. Download and install the Netify VPN app on your android smartphone. Download HERE. 3. After that just click on save to continue. 4. Once on the main menu, click on the Netify VPN icon (ninja logo) at the top left corner of the screen to access more options. Just go back and click on connect. And those who also want to join the WhatsApp group can drop their no.